Hello! My name is Maureen, and I have studies in Piano, Voice, Harp, and Accompanying from the University of Wisconsin-Milwaukee. I have studied with Dr. Gordon Sparber, Dr. Randall Sheets, and others. My performance experience includes the US Army Field Band, Kenosha (WI) Unified School District, the University of Wisconsin-Milwaukee, and others. I have over thrity five years of teaching experience. 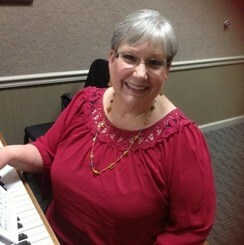 Request Lessons with Maureen Griepentrog today!